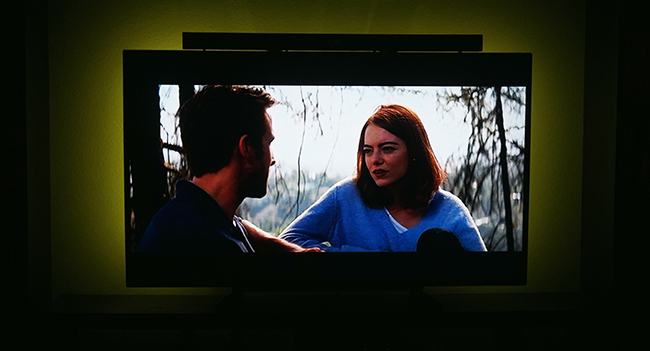 Several years ago, I heard about the benefits of backlighting your TV screen, in particular, that it’s easier on your eyes and increases the perceived contrast on the screen (Lifehacker link). At the time, I grabbed some cheap Ikea puck lights and wire-tied them to the back of my TV. That did the trick for a while, and until I upgraded the size of my TV. 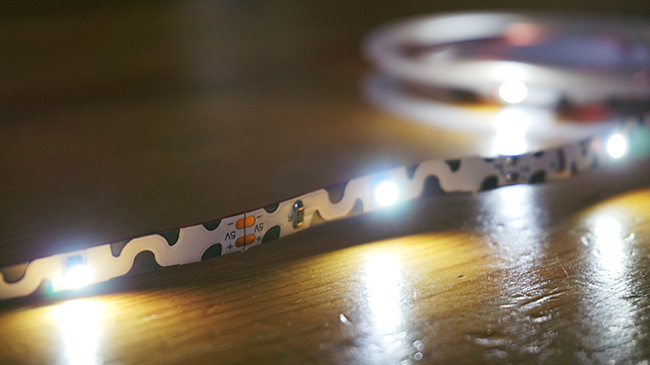 I began to investigate current options for TV backlighting (“bias” lighting as it’s called) and discovered that several brands now make self-sticking light strips that plug into the USB port on your TV (almost all modern TVs have USB), so they power on and off with your TV. The Luminoodle by Power Practical consistently showed up in my searches and is well-reviewed online, so I got the 3 meter model (the largest) in the pure white color. 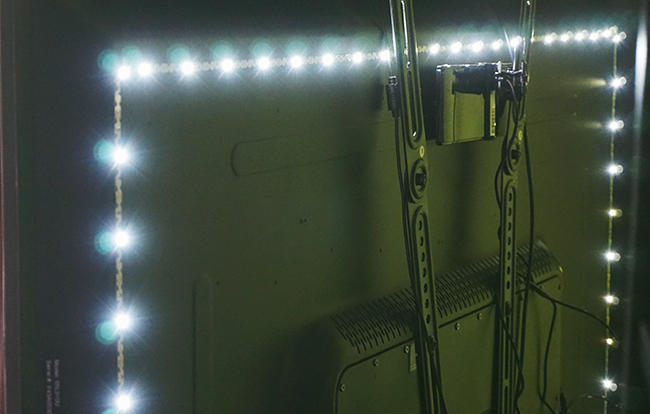 Once I tested the lights to make sure they worked, installation was really simple. I wiped down the installation area with alcohol, then peeled and stuck the Luminoodle around the back edge of my TV. On a 55″ TV, the ‘Noodle had about 12″ of excess light tape, so I cut it off at the proper points (these are clearly marked – see the photo above). I didn’t install the noodle on the bottom of my TV because I didn’t have quite enough tape, but I only wanted the light to be on the top and sides of my screen. 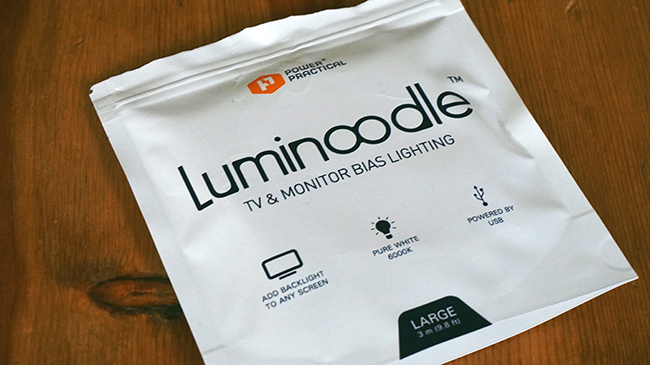 The size of the Luminoodle you get is based on your TV size – they’re available in 1, 2, and 3 meter options for $10, $15 and $20. Power Practical has a guide on their site and on Amazon for the size of noodle you should get for your TV. Just a note: the wall behind my TV is painted green, that’s why you see a green glow in the photo. Luminoodle does make their lights with color options and remote controls, too, and you can get them from Amazon here. This entry was posted by admin in electronics, reviews and tagged bias lighting, luminoodle bias lighting, luminoodle lighting, tv backlighting, tv bias lighting, tv light on February 21, 2017 .